Now the image is facing right. You can now see why the work proceeds from the back side as a mirror image. 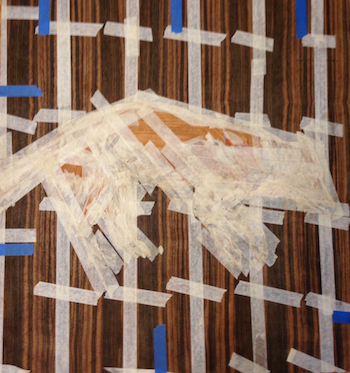 The tape obscures the lines where the glue side shows all the cuts clearly. This part is now ready for gluing to a thicker panel.